EPL: How are the big seven shaping up? The Premier League starts in 17 days’ time, so how are the the biggest sides’ friendlies and signings leaving them for the start of the year? 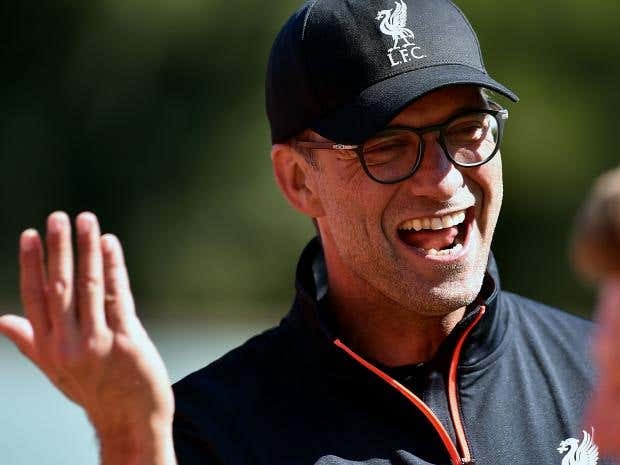 Liverpool have breezed through their gentler friendlies so far and there will be greatest tests for them against Roma, Milan and Barcelona. But they look like a team who has far more of their business done already than their rivals. With a manager who has already been in place almost one season, they are ahead of Chelsea and the Manchester clubs in terms of development too, and the likeliest candidates this season for a fast start. In Sadio Mane and Georginio Wijnaldum Liverpool already have their two top signings, and two players who know the Premier League. Joel Matip will strengthen the defence while Loris Karius gives them a strong alternative in goal. With a settled team and a settled manager, it all adds up to a Liverpool side who look strikingly well-equipped to start the season. Chelsea are currently in the United States for games against Liverpool, Real Madrid and AC Milan, and those matches will start to show how effectively Antonio Conte is working his players so far. It has been difficult, with double sessions, but Conte wants to turn Chelsea into a “little war machine” and he will need time to get there. The signings of Michy Batshuayi and N’golo Kante give new impetus to a squad which had gone stale last year. Conte may put his faith in youngsters such as Ruben Loftus-Cheek and Nathaniel Chalobah but, like all of their rivals, Chelsea still look two senior signings away from competing. They need another centre-back and, ideally, another centre-forward to partner Batshuayi. Mauricio Pochettino has a difficult balance to strike this summer, keeping what made his side so successful last season while also refreshing and reinforcing them after their disappointing finish. Spurs will be desperate to avoid a repeat of Liverpool’s 2014-15 season, when the hangover from blowing the title destroyed the first half of their season. Spurs have only added two players so far, Victor Wanyama and Vincent Janssen, but Pochettino hopes to have found players who will fit instantly in, and take pressure off his first teamers. 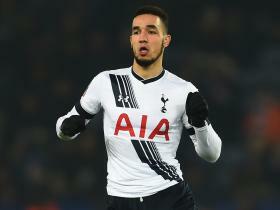 The next target is Georges Kevin N’Koudou as well as the sale of the players Pochettino has decided he can do without. There must be a temptation to keep spending and upgrading a squad that fell short, but if Spurs lose the unity and drive that made them so good it will all be for nothing. No big side needed more reinforcements than Manchester United, having missed out on Champions League qualification for the second time in three years. So far they have pulled off three big signings, in Eric Bailly, Henrikh Mkhitaryan and Zlatan Ibrahimovic. 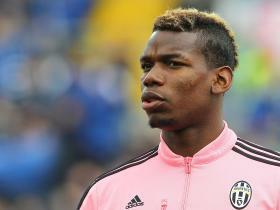 Yet the biggest target of them all, Paul Pogba, remains just beyond United’s reach with the club reluctant to pay the whole £100million fee to Juventus and another £17m to Mino Raiola. United’s friendly against Manchester City in Beijing was called off and now they have 11 days to prepare for the Community Shield. They face Galatasaray in Sweden and then Everton in the Wayne Rooney testimonial as Jose Mourinho tries to drill his values quickly into this still unfinished squad. Life is very different now for Leicester City and Claudio Ranieri has to build a squad able to cope with being Premier League champions, and playing in the Champions League, for next season. That has led to a raft of new arrivals, with Nampalys Mendy in to replace N’golo Kante and Ahmed Musa to add more pace up front. They kept Jamie Vardy thanks to a pay rise and may now have to do the same with Riyad Mahrez. Whether these additions will equip Leicester to compete in their new context remains to be seen. They have glamorous tests against Barcelona and Paris Saint Germain before the Community Shield against Manchester United, three big games against big teams. Staying among the elite will be an even harder challenge than embarrassing them all last season. Pep Guardiola has brought a revolution to Manchester City’s training, banning players from taking part if they are thought to be overweight. But City’s squad has not yet been transformed in the transfer market. So far City have only signed two players, Nolito from Celta Vigo and Ilkay Gundogan from Borussia Dortmund. Guardiola wanted a whole new back four when he arrived at City but they are yet to sign a single defender. This means that the City squad in the friendlies so far has been a curious mix of veteran players and teenagers. They lost 1-0 at Bayern Munich, with Willy Caballero saving them from a worse defeat, before their game against Manchester United in Beijing was called off. They play Borussia Dortmund tomorrow, with far more questions than answers about what Guardiola plans to do. Arsenal started the summer on the front foot, signing Granit Xhaka for £32million in late May. Since then, though, they have done nothing and now look like being seriously undermanned for the start of the season. They have failed, again, to sign a striker after Jamie Vardy decided to stay at Leicester. It is looking increasingly unlikely that they will get one. 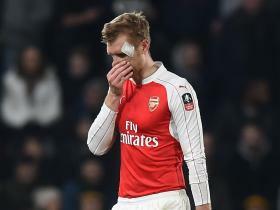 The current priority is a centre-back, with Per Mertesacker likely to be ruled out until Christmas with a knee injury. Then there is the problem of players returning slowly from Euro 2016. Aaron Ramsey and Mesut Ozil do not come back until Monday, and will be racing to be ready for the start of the season. Olivier Giroud and Laurent Koscielny come back the following week and are very unlikely to face Liverpool on 14 August. Suddenly this is an Arsenal squad in need of quick recruitment, especially in defence, if they are to keep up.